How to highlight your products or services should be one of the most important thing that every business company should think about. It is believed that acrylic sign holder is one effective marketing tool to display your company information and products and service, as it can highlight your particular products or services on the whole acrylic sign holder, It can easily capture your customers attention quickly and attract them to read what you can do or provide for them in the acrylic sign holder. You can update your new business through these stylish acrylic sign holder. You can highlight new products, discounted services, menus, special events, sales, or any type of service that you need to put the spotlight on. Acrylic sign holder is inexpensive tool, what's more, acrylic material is one eco-friendly, Even food company can use them, just spend a few dollars and design your products or service on acrylic sign holder,then you would find they would bring huge returns that you may not image. 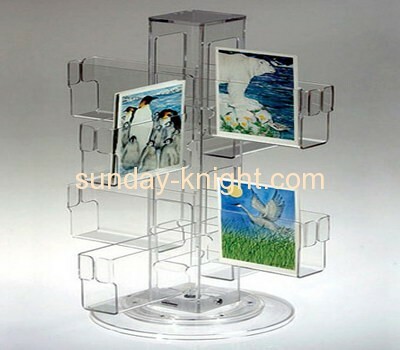 If you are not currently using any type of sign holder or are still considering the question that how to advertise your products or services, please visit our website www.sunday-knight.com for more information and contact with us, We can customized acrylic displays accoring to your requirements and desired.